The Ad-Hoc sketchers were meeting in Georgetown, to explore Fran's, makers of fine chocolates , who had recently relocated there. 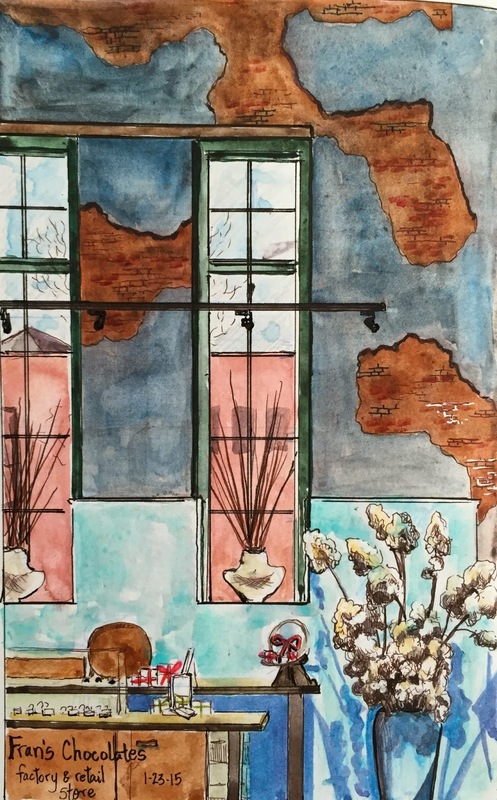 And I needed to kill 2 birds with one stone: I've been following the daily drawing challenge on the FB group, Artist's Journals Workshop, and my current challenge was to sketch a historical building. Perfect! 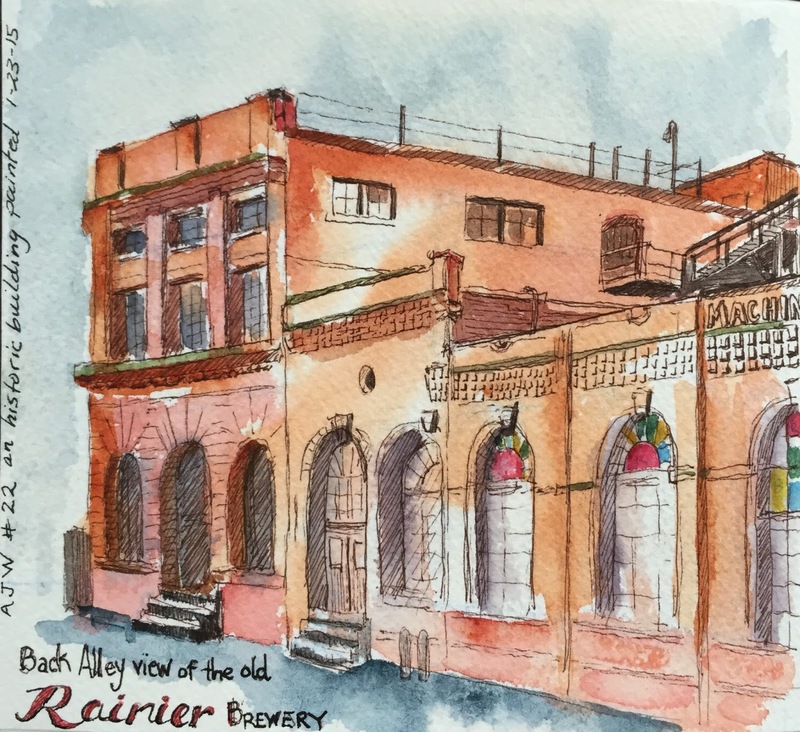 I thought, knowing that the old Rainier Brewing plant was still standing in Georgetown. So I drove down early and did my sketch. Then I went inside to Fran's where I was greeted with a piece of chocolate: a raspberry truffle! I'm sure it made for better sketching!! Fran's has done a great job of utilizing the huge, open space of the old brewery. The original windows, and wrought iron staircases (one is spiraling ) remain. Also, the rather unique walls, where areas of brick peek through the plaster, which of course, caught my eye.